The World Mission Society Church of God is a Christian non-denominational church with more than 8,000 locations and 2.7 million registered members in 175 countries. The Church of God believes in Elohim God—God the Father and God the Mother—based on the Bible. Two thousand years ago, Jesus Christ established the Church of God under one teaching and one truth: the gospel of the New Covenant. Two thousand years later, there are more than 850 different denominations of Christianity, each holding to its own doctrines and teachings, leading to much confusion about the correct way to follow Christ. The Bible says Christ would come a second time (Hebrews 9:28) to restore the teachings of the Early Church, doing so under a new name (Revelation 3:12). Christ Ahnsahnghong established the World Mission Society Church of God in 1964. Since then, it has become a beacon of light to those searching for the original teachings of Christ. The World Mission Society Church of God keeps the Sabbath day, the Passover and the seven feasts of God. The Church of God is also the only Christian church that believes in God the Mother, as testified in the Bible. Over the past 50 years, the Church of God has grown exponentially. Members diligently study the teachings of Christ in the Bible and invite others as well. They faithfully put these teachings into practice through numerous volunteer activities worldwide. Many government officials and prestigious organizations have recognized the Church of God for its contribution to the welfare of society. Discover the teachings of the Bible and see why millions of people believe in Christ Ahnsahnghong and God the Mother. The World Mission Society Church of God has been recognized on an international scale for its selfless service to humankind. 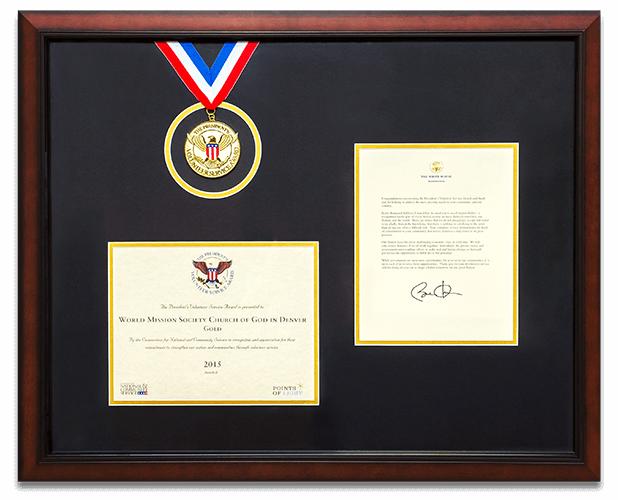 Among others, the Church of God has been awarded the President’s Call to Service Award by President Obama and the Presidential Group Citation by the Korean Government.